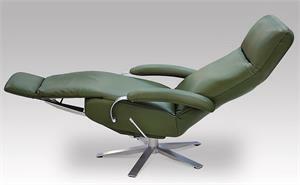 The headrest adjusts up and down so is great for tall people like me. This sleek, modern styling is perfect for my new house and the cherry red color is a knock-out! 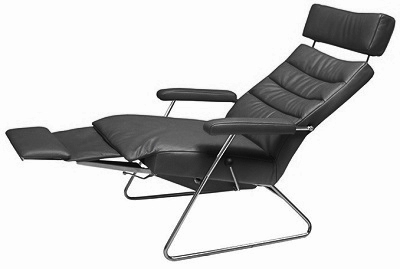 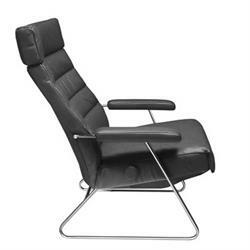 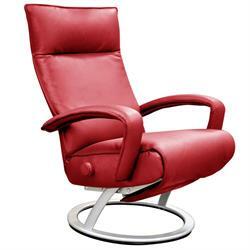 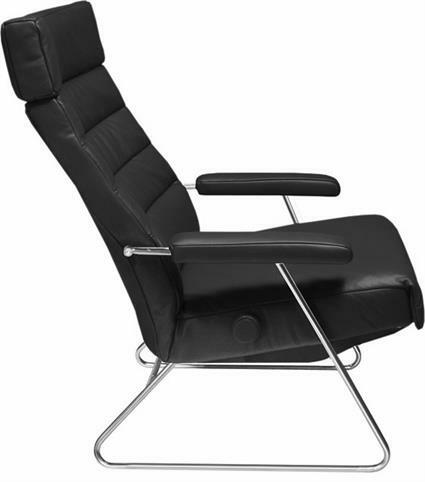 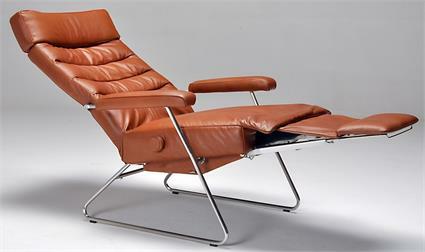 Adele Recliner Chair by Lafer with Tubular Chrome Frame in Matte Finish - Ergonomic Reclining Chair - Modern Leather Adele Recliner by Lafer Recliners of Brazil. 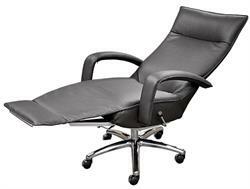 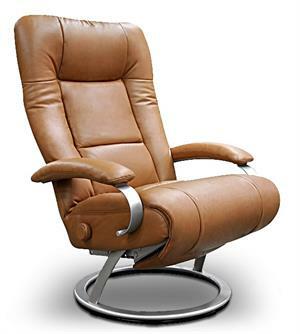 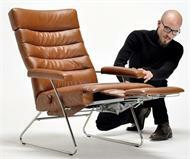 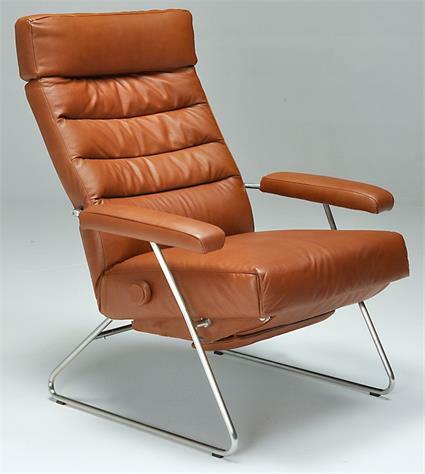 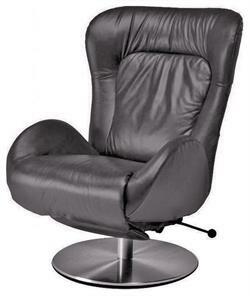 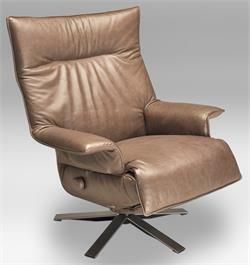 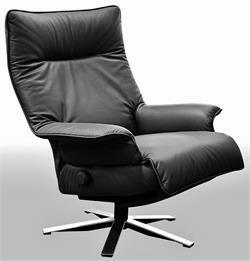 Modern Leather Ergonomic Lounge Chair Recliner for Home or Office. 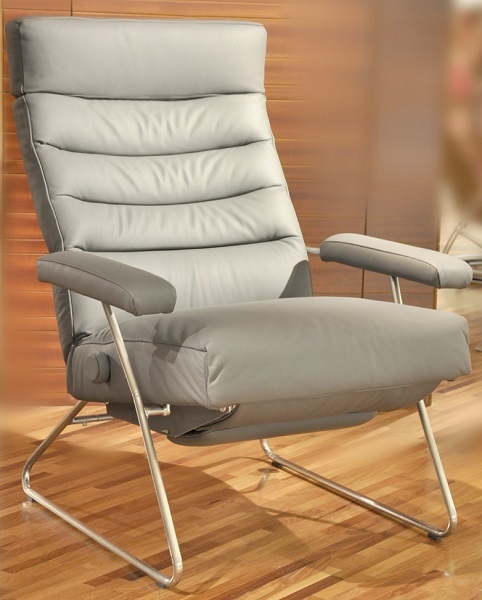 The Adele Recliner by Lafer of Brazil is fully adjustable with patented retractable footrest system offering support for the whole body while remaining totally invisible when closed. No need for footstools. 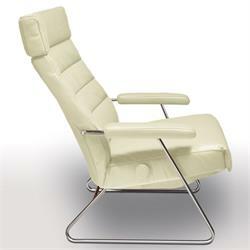 Sophisticated leather padded armrests come in a metallic silver powder coated finish for that modern home or office setting. 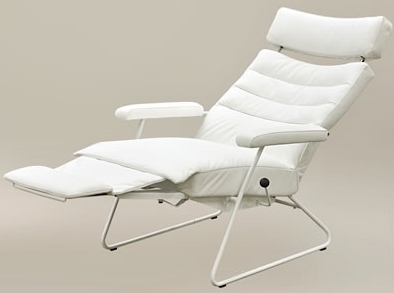 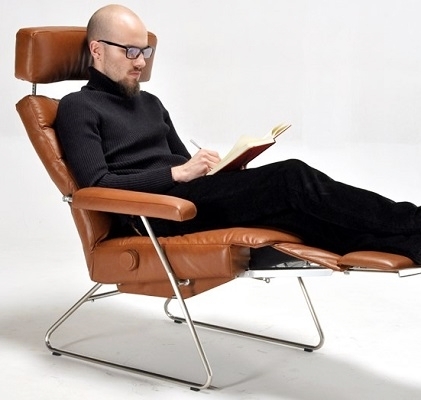 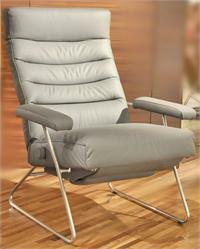 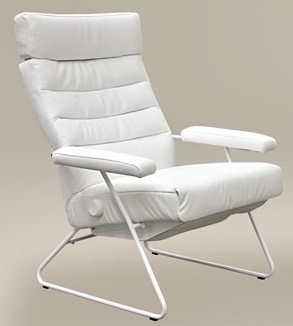 The modern cantilever frame of chromed steel gives a modern styling to this ergonomic reclining chair. Headrest adjusts up in height plus forward and backward for the ultimate in neck and upper back comfort. Beautiful horizontal rib detailing on seat provides excellent back and spine support. 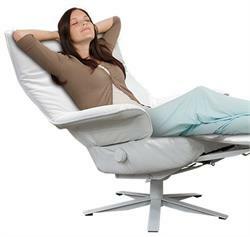 Chair seat can be positioned at 90 degrees for work or reading and all the way down to 170 degrees for relaxation and sleeping.